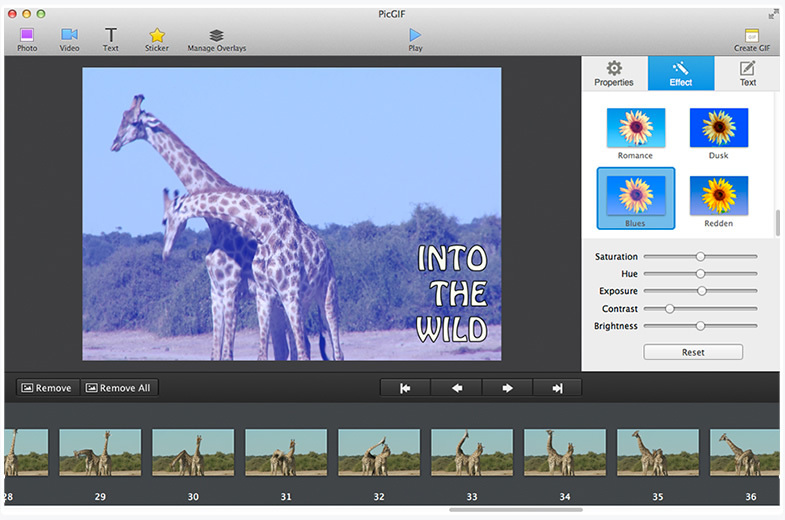 This easy and quick GIF maker for Mac will allow you to easily and quickly create awesome animated GIFs that friends, family, and anyone else will enjoy. Compressing ideas into animations to deliver a message or to simply make people smile, is a veritable art form. 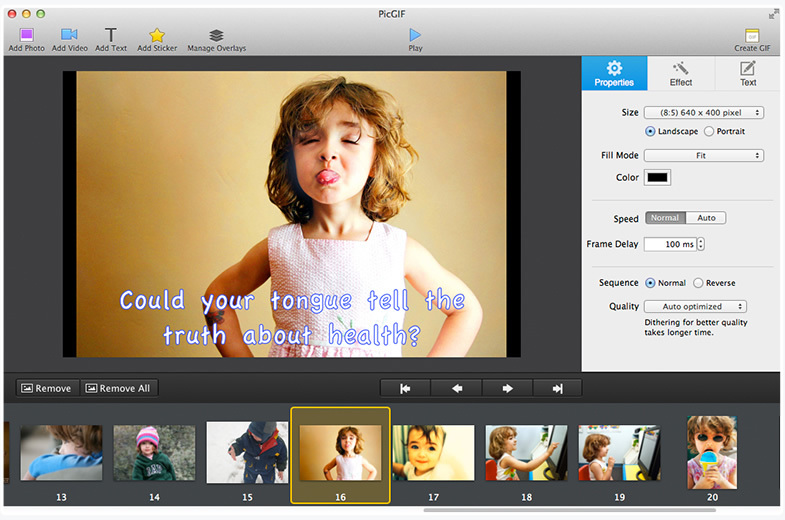 PicGIF offers you the tools to express yourself through animated GIFs. 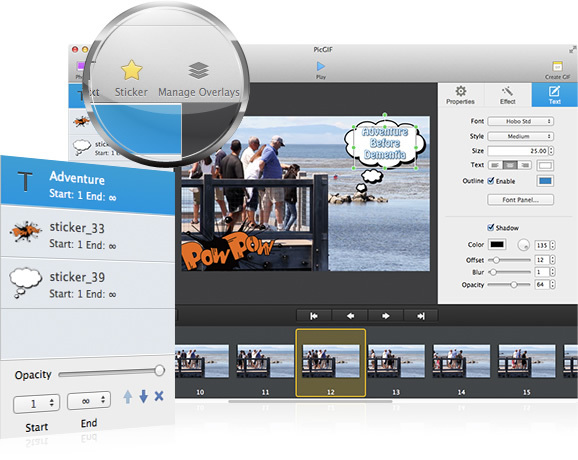 Turn continuous snapshots to animated GIFs with a few mouse clicks. Re-edit existing GIFs. Adjust its size, speed and add text, etc. 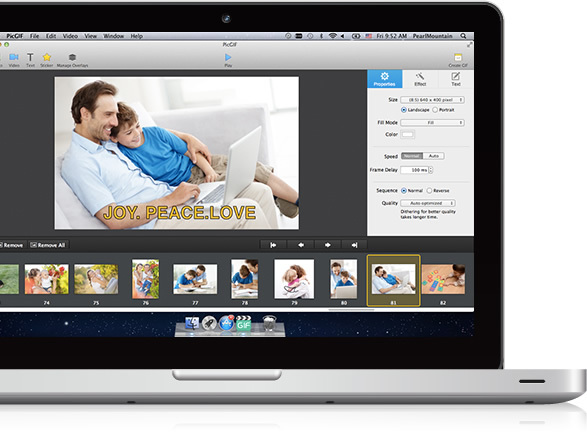 Create GIF image slideshows from your life photos. Transfer short videos to smooth and animated GIFs. 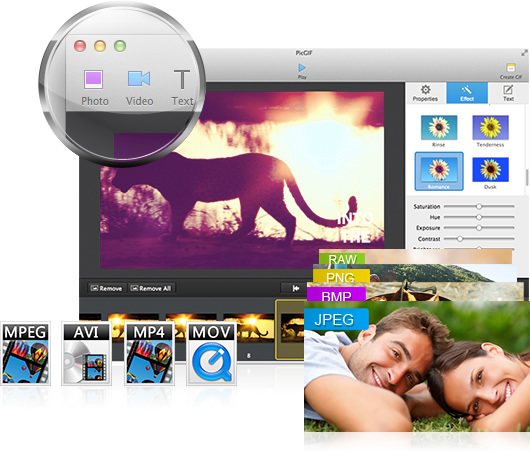 Support hundreds of image formats like JPEG, TIFF, BMP, PNG, TGA, RAW, PIC, etc. and any image size. 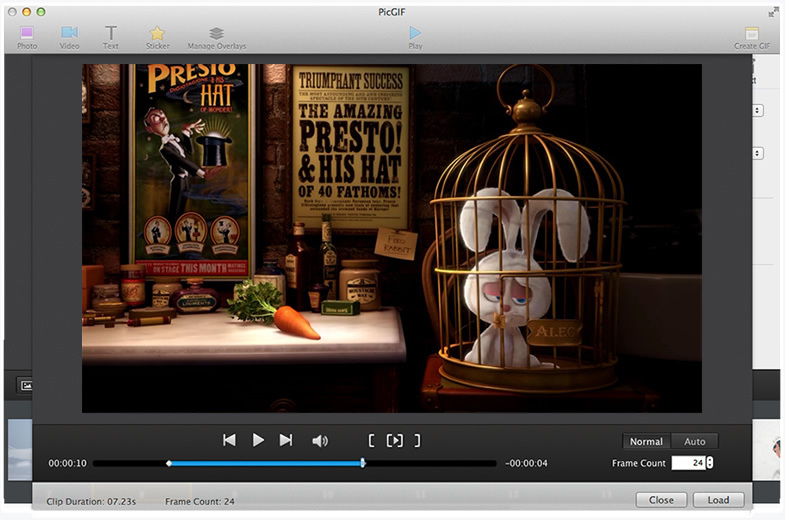 Support almost all common video formats - MOV, MPEG, MP4, M4V, 3GP and more. 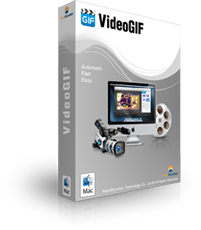 Support to combine multiple formats, images, GIFs, and videos into a new single GIF. Set GIF Size, Speed, Frame Delay and playing Sequence. Free to manage overlays of stickers and text object. 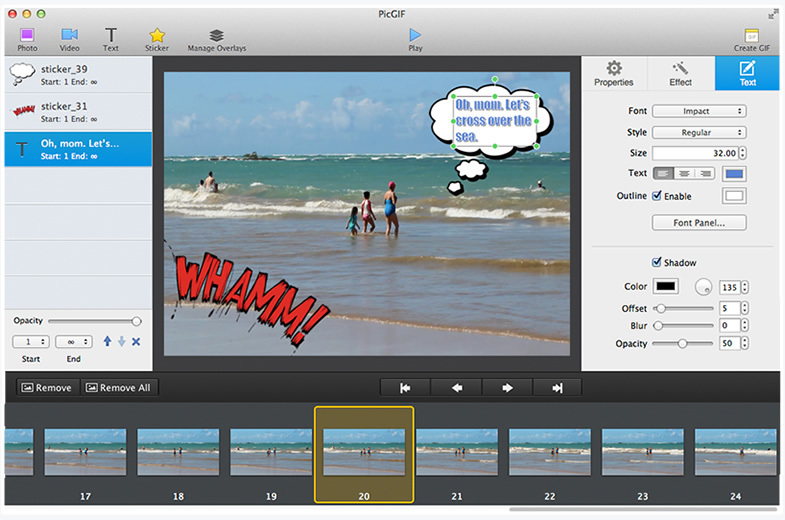 Apply popular image effects and adjustments to your animated GIF. Insert text and personalize its Font, Style, Size, Color, etc. at ease. Real-time preview and quality optimization before exporting. Export the GIF to Finder. Send via iMessage (only available for Mac OS X 10.8 or above). An intuitive and versatile video to GIF convertor that makes it easier than ever to go from video clip to animated GIF by trimming any part of videos/movies. PicGIF’s interface is typical Mac. It’s easy to import photos and drop them into a timeline, add text, adjust dimensions, change typical GIF settings, and share online. I am very impressed with PicGIF. 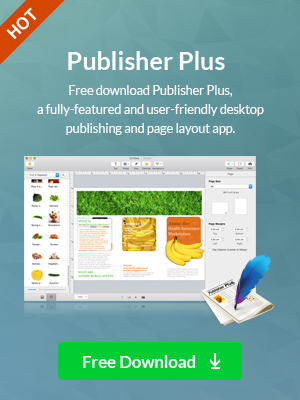 It’s very easy to use and the quality of the file it outputs is outstanding. 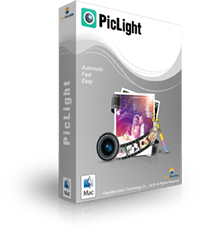 If you are looking for a simple way to convert some pictures you have or a video into an Animated GIF to show off, then PicGIF will be perfect for you.